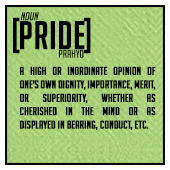 These passages deal with pride in some form or another; they were compiled while writing an article on pride. All are from the English Standard Version Bible. We hope they are helpful!